Universal temperature data loggers with external PT-1000 sensor and high accuracy internal sensor for measuring and recording the temperature to use in industry, food, pharmacy, labs, storage. 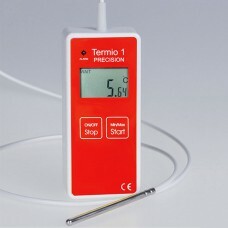 Termoprodukt temperature data recorders with external PT-1000 sensor and high accuracy internal sensor for measuring and recording the temperature. Save up to 32000 records. Accuracy 0.07°C, sample rate from 1 sec. 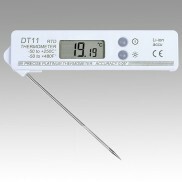 Data loggers with 0.01°C resolution to use in industry, food, pharmacy, labs. 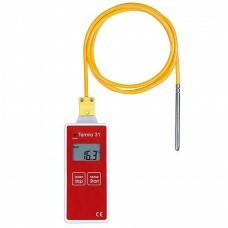 Accurate genaral purpose temperature data logger with external probe sensor PT-1000. 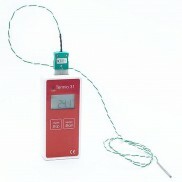 Termio-2 data r..
Industrial LCD digital portable temperature data logger with interchangeable thermocouple probes. Mi.. 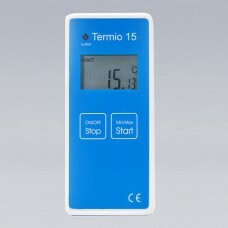 Temperature storage logger with 0.01°C resolution. Accuracy 0.07°C. Resonse time less than 5 sec. In..